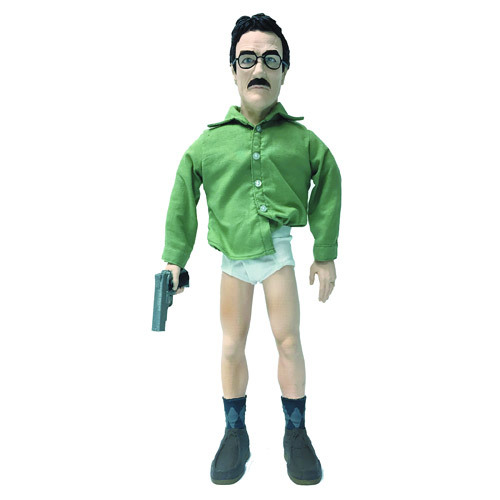 A Previews Exclusive, the Breaking Bad Walter White Underwear 17-Inch Talking Figure will help fans journey back to the beginning of Walt and Jesse’s meth empire. This delightful figure captures the character’s awkward first steps into drug kingpinship, as he found himself stranded in the desert – sans trousers! The arms and legs are poseable, and the doll says more than 15 phrases pulled straight from the show! Click Here or below for more info! “The Crystal Ship’s been pretty good to us.” Go back to the original roving lab where it all started for Walter White and Jesse Pinkman! 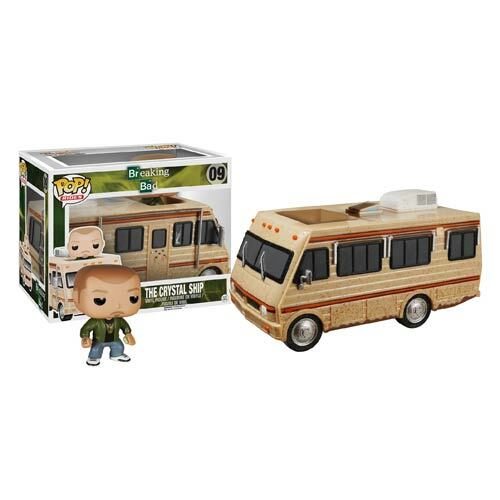 The Breaking Bad The Crystal Ship RV with Jesse Pinkman Pop! Vinyl Vehicle includes Jesse wearing a green hoodie, riding along in an impressively painted Winnebago. The RV is covered in dust from the most recent cooking adventure in the desert, features a cracked window, and bullet holes in the door from the pilot episode!